In a major step toward sustainable groundwater management in California, more than 99 percent of the state’s high- and medium-priority groundwater basins have met a key deadline to form local Groundwater Sustainability Agencies (GSAs) under the state’s landmark Sustainable Groundwater Management Act (SGMA) of 2014. SGMA required formation of locally controlled GSAs in the state’s 127 high- and medium-priority groundwater basins by June 30, 2017. As of this week, 99 percent of the basins in that category are now covered by a local GSA, a groundwater adjudication, or an alternative sustainability plan. For the remaining basins that did not meet the GSA formation deadline, the State Water Board sent letters to property owners late last week to identify if there are active wells drawing groundwater that must be reported to the state. Portions of basins not covered by a GSA, adjudication, or alternative plan are considered unmanaged areas. Groundwater extractions made from an unmanaged area must be reported to the state. The locations of unmanaged areas can be viewed on the unmanaged area identification map. The next step for GSAs is to create and implement groundwater sustainability plans that describe needed actions and implementation measures to bring their basins into balanced levels of pumping and recharge in the timeframe outlined in SGMA. 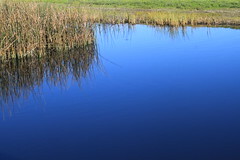 SGMA allows GSAs to tailor plans to the economic and environmental needs of the regions, and provides tools and authorities for developing projects and regulating groundwater use to meet the GSA’s sustainability goals. Basins identified as critically overdrafted are required to have sustainability plans in place by Jan. 31, 2020. All other high- and medium-priority basins have until Jan. 31, 2022, to adopt plans. The plans will be reviewed by the Department of Water Resources (DWR) and will be continuously updated to ensure sustainable management of the state’s groundwater by the year 2042. Signed into law by Governor Edmund G. Brown Jr. in 2014, SGMA is landmark legislation that empowers local agencies to sustainably manage groundwater resources. In areas where groundwater users and local agencies are unable or unwilling to sustainably manage their groundwater, SGMA authorizes State Water Board intervention. California depends on groundwater for a major portion of its annual water supply, particularly during times of drought. The long-term planning required by SGMA will provide a buffer against drought and climate change, and will contribute to reliable water supplies regardless of weather patterns in the state. Details on the groundwater extraction report requirements are available here. I write to support your initiative to make “conservation a California way of life” and suggest ideas for improving its implementation. These recommendations build from the rapid assessment our team led providing the first ever estimates efficiency goals for over four hundred California retailers according to the framework enumerated in Executive Order B-37-16. That work was funded by the Water Foundation for $150,000, whose CEO Wade Crowfoot was previously in your administration, and completed over the course of four months. Since May 2016, despite $3,000,000 in funding and repeated requests, the Department of Water Resources has yet to complete a two agency pilot and begin addressing issue four on the landscape area definitions and it is not clear how the results will integrate to address issues 1-3 on a statewide basis. There is an urgent need to modernize how California’s water agencies manage data in the spirit of the Open and Transparent Water Data Act enacted in November 2016. Your Government Operations Agency offers proven experience and success leading collaborative data initiatives. We propose that Gov Ops lead a one year task force to ensure these important data issues are addressed in a timely fashion. Further our team stands ready to serve as an Advanced Research arm of Gov Ops and collaborate with the inspiring array of in-kind local water utility, academic and technology partners assembled through the course of this project. We recently completed our second annual water data summit at Stanford Graduate School of Business. Over 180 participants, including senior leadership from both state water agencies and your Office of Planning and Research, engaged and worked together to develop a roadmap to modernize the California water industry. Further we discussed actionable proposals on marketing, pricing and home automation to make conservation a way of life now. According to a poll commissioned by the Association of California Water Agencies in April of this year, 93% of Californians agree that “Despite a wet year, California still needs to conserve water.” Yet “commanding thou shalt” will not make conservation a California way of life. The historic shift from lawns to California friendly landscapes is ongoing and in need of statewide leadership to build from early adopters and educate the broader public. Achieving the broader urban water efficiencies will require creativity and finesse, not simply command and control regulation. Further, California’s entire water system, not just urban conservation, needs modernization to ensure every drop of our precious water resources is most effectively utilized. The historic drought created a huge trust deficit between state and local water agencies. The Little Hoover Commission report on “Managing for Change: Modernizing California’s Water Governance” provides a common sense framework to rebuild that foundational trust and achieve much needed operational improvements. Those recommendations to move operations of the state water project out of the Department of Water Resources and consolidate the two state water agencies into a new Department of Water Management are more timely than ever with your leadership on the Delta Fix. Such transformational changes are often derided as impossible or a fool’s errand. So too were the initial plans for the State Water Project by California’s first state engineer William Hammond Hall. California’s water industry has historically been no stranger to visionary initiatives that were not complacent about things as they are but pioneered a brighter future that might be. With a water system designed a generation ago for a state half our current population and future uncertainty from climate change, the question is simply whether we have the courage our ancestors showed in doing not what was easy but what needed to be done. We have committed to the latter course and believe firmly the people of California deserve nothing less. We humbly ask for your support in establishing Gov Ops as the lead in California water data and formalizing A.R.G.O. as the Advanced Research arm of Gov Ops so that we can continue delivering this mission critical work for California’s future. A.R.G.O. (Advanced Research in Government Operations) is a startup nonprofit that builds, operates and maintains pioneering data infrastructure to transform how water reliability, street quality, and other basic public services are delivered. ARGO’s work has been featured in Senator Hertzberg’s Subcommittee on Modernizing Government, Fast Company, Fox News Smart Cities, the Associated Press, Harper’s magazine and other news outlets. Learning from the tradition of visionary technocratic excellence in the California water community, we’re building a new kind of public institution, the world’s first data utility. The rapid assessment was a collaborative effort that brought together water managers, academic experts, non-profit leaders and top data scientists from throughout California. The California Data Collaborative statewide efficiency data action team is chaired by Elizabeth Lovsted, Director of Water Supply at Eastern Municipal Water District and includes leaders from across the California water industry. The CaDC Efficiency Explorer tool and CGU landscape area remote sensing was reviewed by leading academics including Frank Loge at UC Davis, Newsha Ajami at Stanford and Bob Wilkenson at UC Santa Barbara. The full methodology is available here.